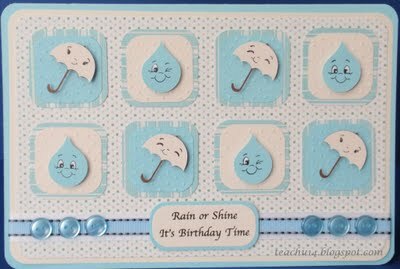 Today we would like to announce the winner of Challenge #24- April Showers! The winner of the Top Chef prize was chosen by Random Organizer. 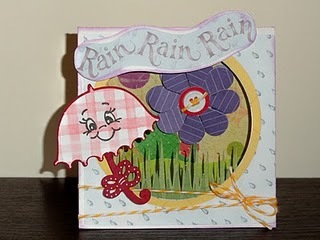 Marcia created this adorable tent fold card in hopes of April showers bringing spring flowers:) You can "pick up" your top chef button on the left column and proudly display it on your blog. 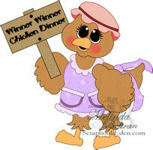 As the winner Marcia will receive her choice of digi stamp or cutting file from Papercraftingworld.com. Marcia, please contact Madison at FunkyCards @Charter .net (no spaces) within two weeks to claim your prize. This week at Cooking With Cricut it is all about $$$$$. In honor of our upcoming “tax” day…We would like to challenge you to use the STUFF IN YOUR STASH… Things that have been around for AT LEAST A YEAR! 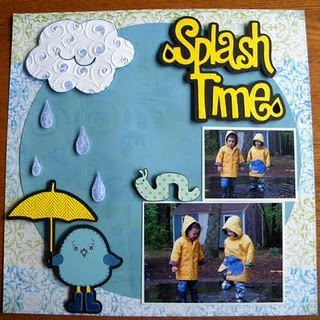 You can also use the theme of “CASH” or “MONEY, MOOLAH, COIN…BANK”… you get the idea. Please include something cut from one of your cutting machines such as the Cricut:) Once again you have until next Tuesday at midnight to post your projects. 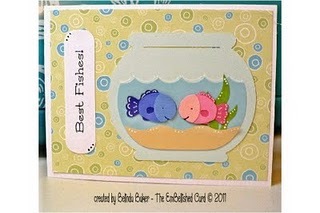 One winner chosen at random will receive his or her choice of digi stamp or cutting file from Papercraftingworld.com. These are all too cute! Great work winners and congrats! Congrats Marcia, Ana Maria and Belinda!